October 11, 2018: SAN FRANCISCO – Unbabel, the enterprise SaaS company that combines state of the art Artificial Intelligence (AI) with a global crowd of humans to break down business communication barriers, has officially opened its doors in San Francisco following on from a $23m investment in Series B funding earlier this year. Unbabel is backed by an incredible roster of world-class investment firms, including Scale Ventures Partners, Notion Capital, Microsoft Ventures, Salesforce Ventures and Samsung NEXT. As the first ever Portuguese company to be accepted into the Y Combinator program in 2014, Unbabel’s “Translation-as-a-Service” platform has grown rapidly as a result of removing language as a barrier to global customer experiences through a mix of Neural Machine Translation, machine learning and a global crowd of thousands of multilinguals. Unbabel’s unique combination of machine and human intelligence enables multilingual communication at a quality, speed and scale that simply wasn’t possible before. Major brands such as Facebook, easyJet and Under Armour have Unbabel deeply integrated into their customer communication workflows, either via API or a native integration with leading customer experience platforms like Salesforce, Zendesk, Intercom and Freshworks. Building upon a team that already includes seasoned sales veteran Wolfgang Allisat as Chief Customer Officer, and world-renowned machine translation expert Dr. Andre Martins as Head of AI Research, the company has appointed three further senior global hires to accelerate its efforts. Carmen Carey joined the team as Chief Operating Officer earlier this summer, bringing a wealth of experience in executive leadership roles in fast-growing, VC-backed and publicly-traded technology companies like Apica, Big Data Partnership, BroadVision, MetaPack, ControlCircle and MessageLabs. Maxim Khalilov has been appointed Director of Applied Artificial Intelligence, joining from Booking.com where he was a data-science-focused Product Owner. 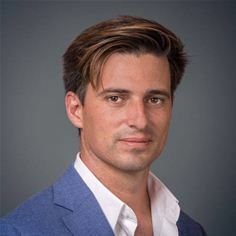 And Sebastien Prioris joins as VP of Product, following a swift rise to Chief Strategy & Transformation Officer at onefinestay, the luxury bookings operator. Additionally, out of 1200+ active Y Combinator companies today, Unbabel is one of only 60 with more than 100 employees, and has recently been accepted into the famed accelerator’s YC Growth Stage Program, which Dr. Pedro will attend until the end of 2018 in San Francisco.